Yesterday I wrote a blogpost over at the Tripbirds blog about how you can get an overview of what social sites are most popular in different areas. When I check out which apps are most popular among my friends, I can see that Foursquare and Gowalla have about the same number of signups. 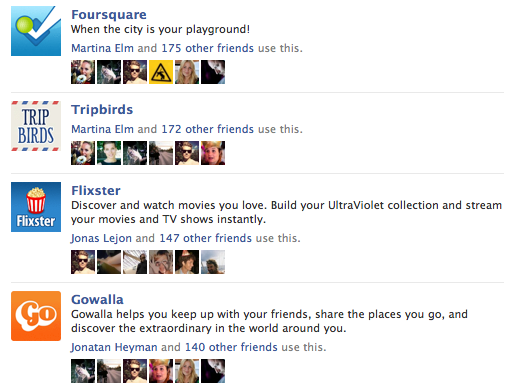 But when you compare the number of monthly users you'll see that Foursquare is about 25 times as popular as Gowalla. Read the full blog post here.